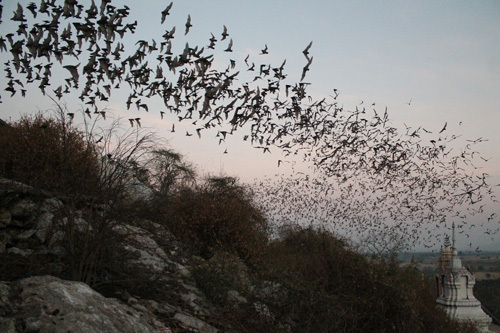 Numerous bat species hunt and migrate at great altitudes. Yet the open sky had, until recently, not been on the radar of conservation scientists as a habitat relevant to a large variety of species. Christian Voigt and colleagues from the Leibniz Institute for Zoo and Wildlife Research (IZW) in Berlin have collated the current scientific knowledge on potential hazards to one group of animals flying at high altitudes, bats. In their recent article published in BioScience the authors synthesise threats facing bats in troposphere and provide recommendations for potential protective measures to ensure persistence of bats and other high-flying animals. 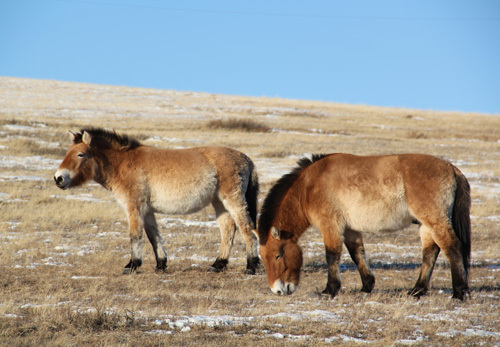 Przewalski’s horses were thought to be the last wild species of horse. 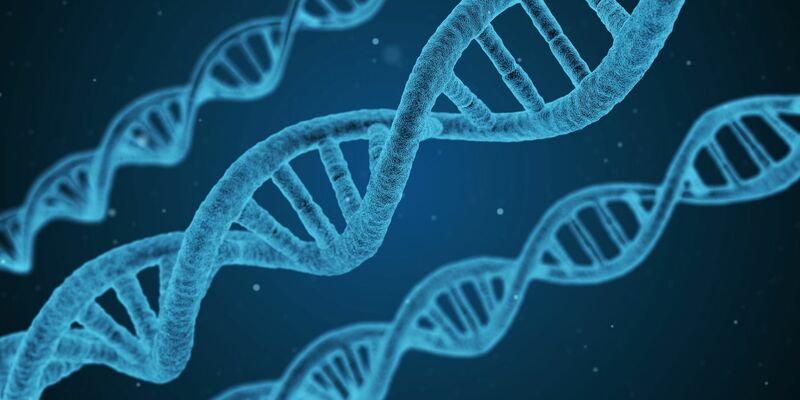 A recent international study led by Professor Ludovic Orlando, involving the Leibniz Institute for Zoo and Wildlife Research (IZW), has upended that theory. The study, published in the journal “Science“, changes our point of view about domestic horse origins. Based on their archaeological and genetic investigations, the researchers were able to prove that Przewalski’s horse is descended from once-domesticated stock. Some of the horses from the domesticated herds escaped and became the ancestors of all present-day Przewalski’s horse populations. A second horse species existing at that time replaced Przewalski’s horses as domestic horses, establishing the lineage from which all modern domestic horses descend. 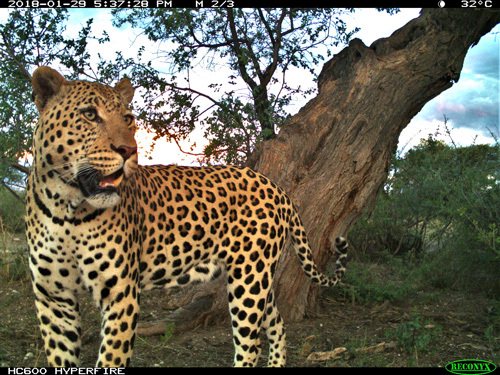 Female leopards have a much wider spectrum of prey species than males. The involvement of citizens in research projects is booming. 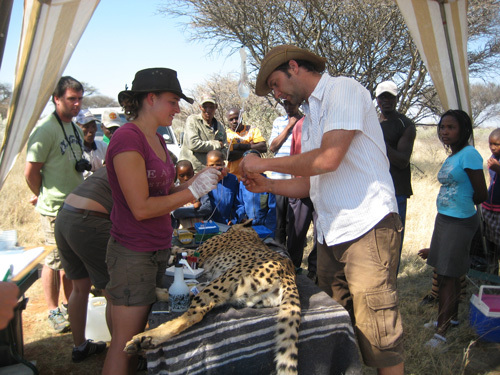 Citizen scientists allow professional scientists to work with much larger data sets than in the past and thus help in achieving better research results. However, for a successful collaboration it is critical that the quality of submitted data is ensured and the motivation of citizens is maintained over a long time period. This is the conclusion of an international team of scientists with the participation of the Leibniz Institute for Zoo and Wildlife Research in Berlin and the lead of the Konrad Lorenz Forschungsstelle for Behaviour and Cognition of the University of Vienna. The team presents four case studies in the field of wildlife biology in the scientific journal “Ethology”.